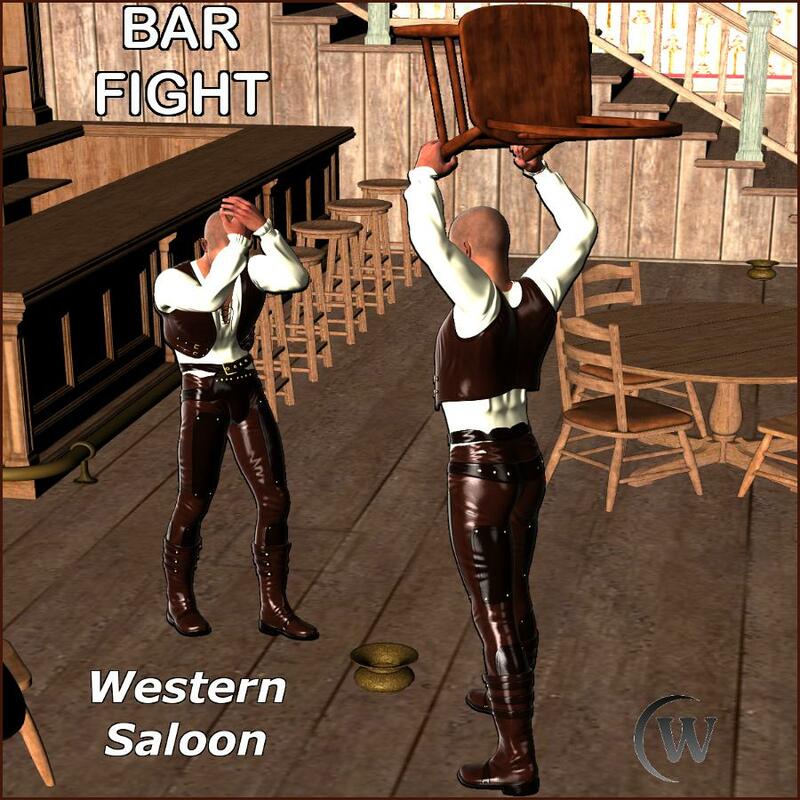 Where there are men there will be bars, and where there are bars there will be fights! 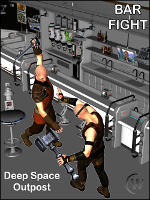 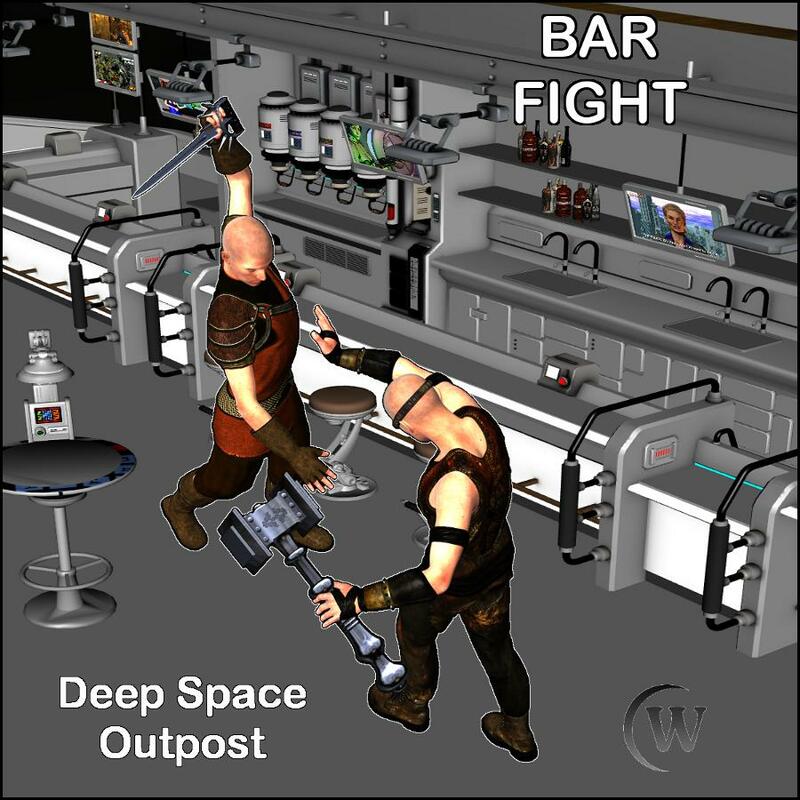 When a fight breaks out in your favorite drinking establishment, your instincts tell you that your only two choices are fight or flight; which will you choose? 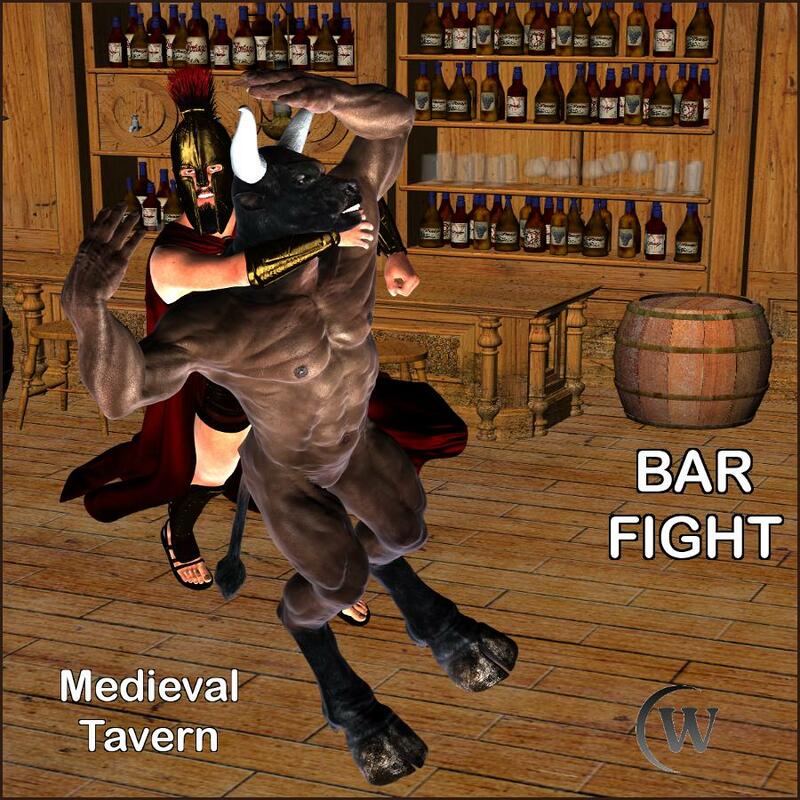 Flight could mean cowering behind the bar and peeking over, or just cowardly crawling towards the nearest exit. 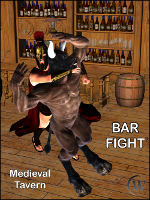 Fight means to make your best moves to become the victor of the skirmish. 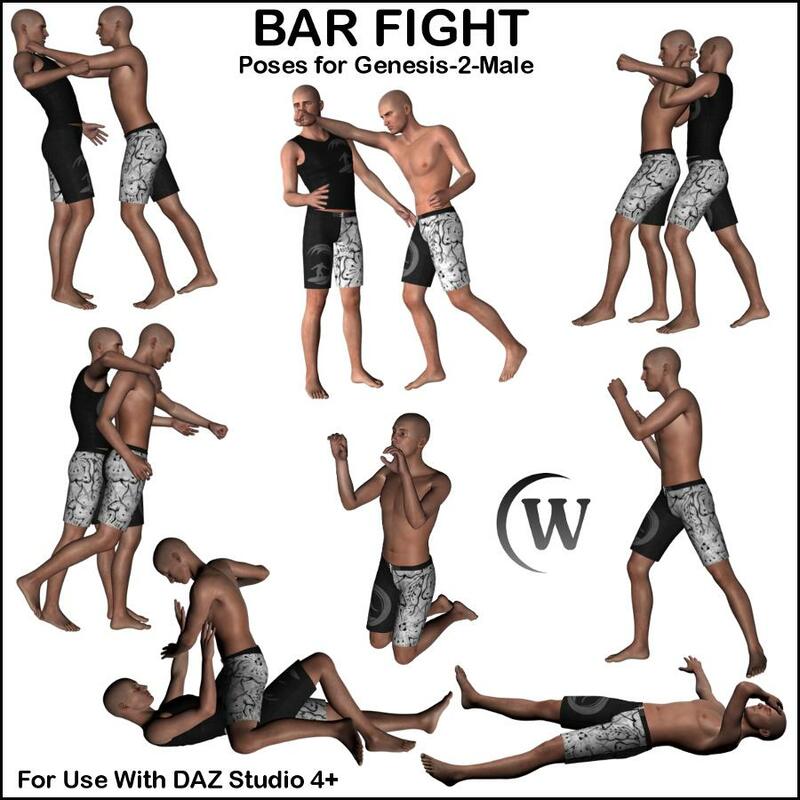 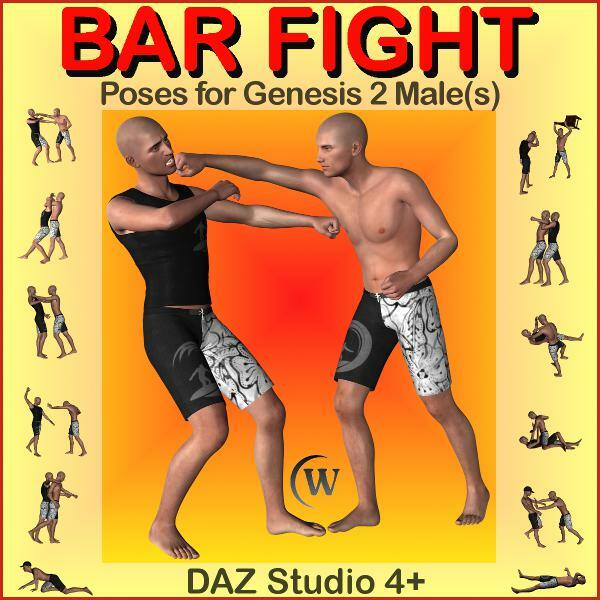 Designed for the Genesis-2-Male (G2M) figure, this set of 24 paired and 3 single poses should work with all of the Genesis 2 Male based Characters* for a total of 54 poses. 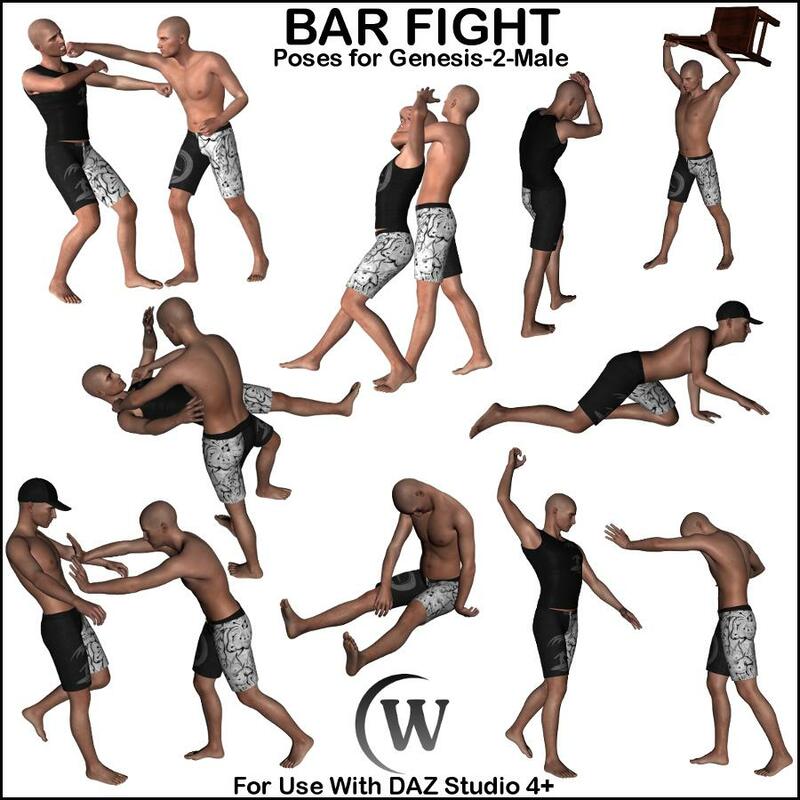 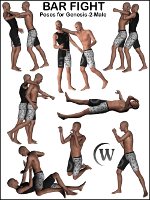 Each set of paired poses and single poses have been saved as individual pose presets for maximum flexibility and include these two versions: 1) World Centered in scene, and 2) Neutral to use anywhere. 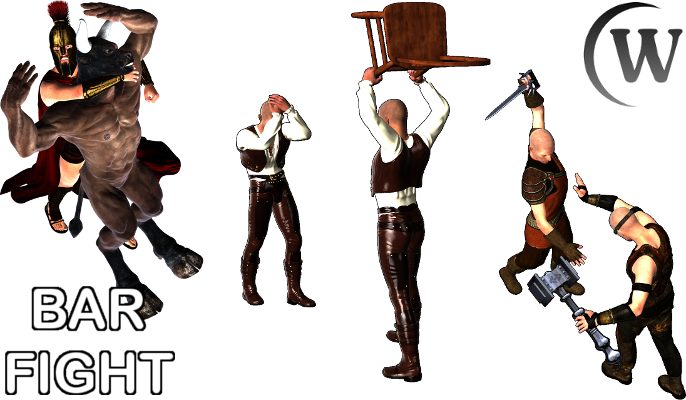 *Minor adjustments may be necessary due to changes in scaling and translations for various character morphs and clothing.